Psalm 36:10-11 (ESV) "Oh, continue your steadfast love to those who know you, and your righteousness to the upright of heart! Let not the foot of arrogance come upon me, nor the hand of the wicked drive me away." Years ago, our youth pastor was diagnosed with a rare form of cancer. Our church rallied together, hosting a night of prayer and worship, Skyping him and his wife from his hospital room so they could be part of the special event. I bought a T-shirt that night imprinted with bold, red words: "Jesus is Greater than Cancer." Those words brought so much hope to our congregation in what felt like a desperate situation. Years later, I don't remember what happened to my T-shirt, but I will never forget those words: Jesus is Greater than Cancer. In today's psalm, we see a different type of "cancer" at work, yet it is one Jesus is still greater than. It is a spiritual cancer called sin that has the ability to strip away the best parts of a person. It targets the deepest wells of a person's heart and mind, convincing them there is no reason to fear God. Sin whispers: You are god and you are the only one that matters. David refers to this type of person as wicked and contrasts him to the greatness of God. As sin spreads, it lures the wicked into believing their iniquity (evil, wickedness) won't be discovered. That their ongoing transgressions (willful disobedience) and disregard for God are kept secret so they can get away with anything. They have no reverence for the Lord or respect for others. Their eyes glaze over with conceit and their words transform into a flowing journal of lies. Evil becomes their companion as wisdom is rejected and goodness has been long forgotten. Over time, only decay of their souls remains as they lie in bed … still scheming, plotting and being destroyed from the spiritual cancer within. What's left is nothing like God's original creation. As David declares the attributes of God, it's as if he's thinking of the biggest objects that come to mind: the heavens, the clouds, the mountains, the great deep. (Psalm 36:5-6) With that kind of majesty and power, the Lord would tower over the wicked coming against David. God's steadfast love would shield David and sustain His people. As David kept his eyes on God, rehearsing the Lord's goodness, he looked to the One who was, is and always will be the only answer to this epidemic of spiritual cancer called sin. It corrupts from the inside out and brings forth death, (James 1:15-16) but we have been given the greatest antidote: Jesus. The ultimate cure was distributed at the cross for all. As believers in Christ, His redeeming and cleansing power courses through our veins. 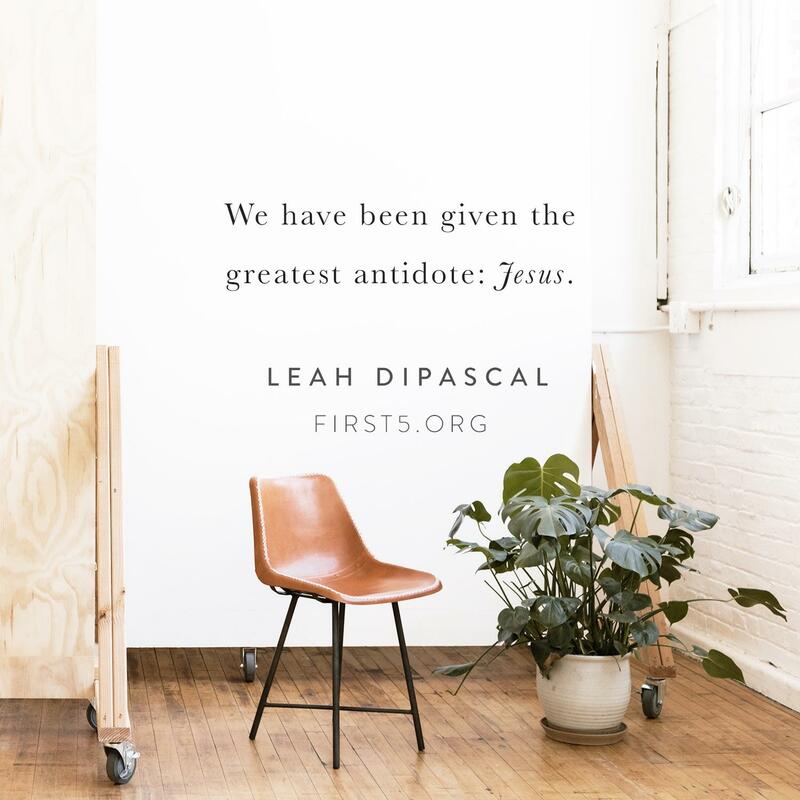 Yes, Jesus is greater! Greater than sin. Greater than the wicked. Greater than sickness and disease. Greater than Satan. Greater than death and destruction. For death will be swallowed and have no more sting.Thanks be to God, who gives us the victory through our Lord Jesus Christ — (1 Corinthians 15:55-57) not just today, but every day as we do life with Him, in Him and through Him. Prayer: O Lord, Your steadfast love and faithfulness extend to the heavens. All glory belongs to You, and all victory comes from You. In Your hands are power and might, and You give strength to all. Instill in me the assurance of Your grace and remind me to run to You every time sin comes knocking at the door of my heart and mind. In Jesus' name, amen. 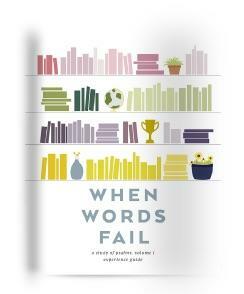 Have you been enjoying the When Words Fail First 5 study? It isn't too late to buy an Experience Guide! With unique themes, poetic structures and charts, you'll learn even more about the book of Psalms!